Adding on an outdoor room to your Winston Salem home can provide you years of enjoyment and add value to your property. There are many kinds of outdoor rooms to consider. When planning for this new feature to your home, it’s important to consider how you want to use this new space and to understand the advantages and disadvantages of each option. There are three basic types of outdoor rooms: screened porches, 3-season rooms, or sunrooms. Choosing the outdoor room that you and your family will love depends on your lifestyle and comfort expectations. Screened porches are cost-effective and invite the outside in. If you really enjoy full ventilation and breeze, screened porches are a great choice. You can explore many options with your Winston Salem porch builder, who will design a porch that blends seamlessly with your existing home. The screens used in these rooms are made of high quality, durable aluminum frames and fiberglass screening that will stand up to abuse from pets or children (within reason!). Depending upon the materials used, screened porches generally require maintenance to ensure its long-term beauty However, other than providing shade and relief from bugs, screened porches do not provide protection from the elements and you are likely to use a screened porch in Winston-Salem comfortably for two seasons – Spring and Fall. While a screen porch feels fabulous when daytime temperatures are moderate, some folks find it too hot or muggy during the summer and too chilly in the winter to regularly use the space. 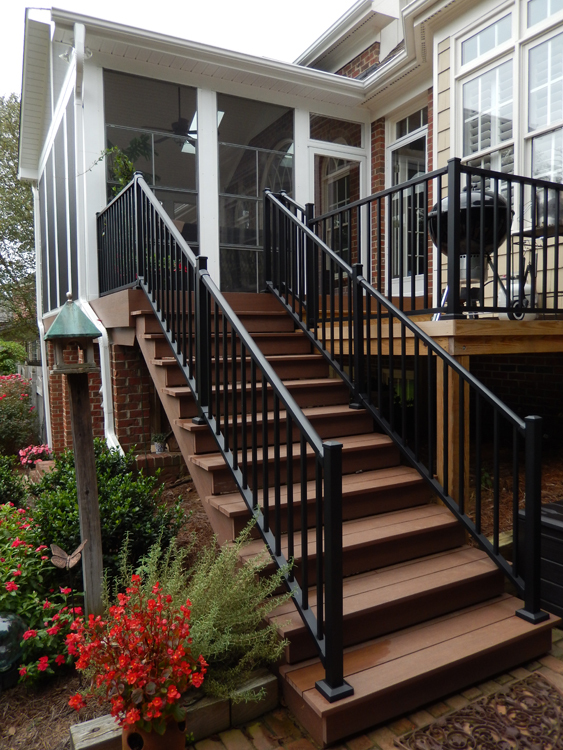 A Winston Salem porch builder can provide you some additional information about comfort features. If you are looking for a space you can enjoy for longer periods of the year, but limit the cost of glass windows, your ideal solution may be a 3-season room. These rooms combine the best of screened porches and sunrooms, offering comfort and fun for all but the coldest months. Archadeck, a Winston Salem 3-season room builder, offers Eze-Breeze vinyl windows for customers seeking a multi-month living area. EZE-Breeze vinyl windows include an integrated screen system, so they can open wide for those warm, sunny days, and close when it starts to get cooler or rains. Enjoy the scenery either way! These versatile windows are enormously popular for their ability to let breeze in and keep bad weather out at a reasonable price. A traditional sunroom is a fully enclosed room with glass windows, which provides the most protection from the outside environment. A sunroom lets in light and offers you a lovely view while you still enjoy the comforts of being inside. When considering a sunroom, consult with a Winston Salem sunroom builder about your vision. A properly constructed sunroom must meet several additional code requirements that screened porches and 3-season rooms do not, to say nothing of cost, and your builder will address those items with you during the consultation process. In addition to those code requirements, you will want to consider that while those wide glass windows offer a gorgeous vista, they also allow a lot of heat transfer (both in and out). Even Low-E glass will not completely block out the sun’s rays or the winter chill. If a sunroom is right for you, be aware that you may face increased energy costs to keep this new space cool in the summer and warm in the winter. Fabrics also fade when exposed to UV rays for extended periods. Choosing the outdoor room that best fits your needs and dreams depends on many factors, including how you want to use this exciting new space and the comfort level you want to enjoy. You’ve now had a chance to hear about three different outdoor rooms: screened porches, 3-season rooms, and sunrooms. 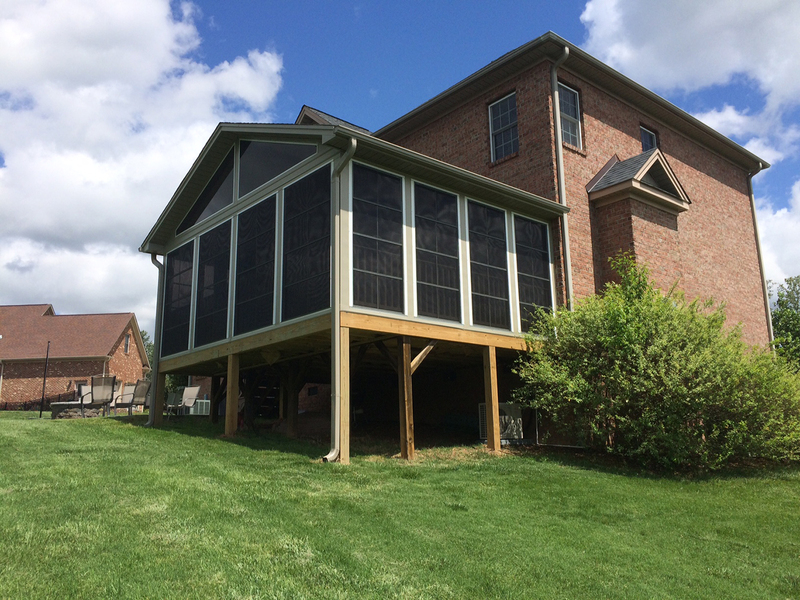 Screened porches represent the least expensive option, and allow for six to eight months of use. 3-season rooms offer greater flexibility of use over 10 to 11 months and greater protection from inclement weather at a reasonable price. Sunrooms offer year-long living with panoramic views, but will impact your energy bill. Whichever option you believe is best for you, make sure to talk to your Winston Salem 3-season room builder, Archadeck, today to learn more.